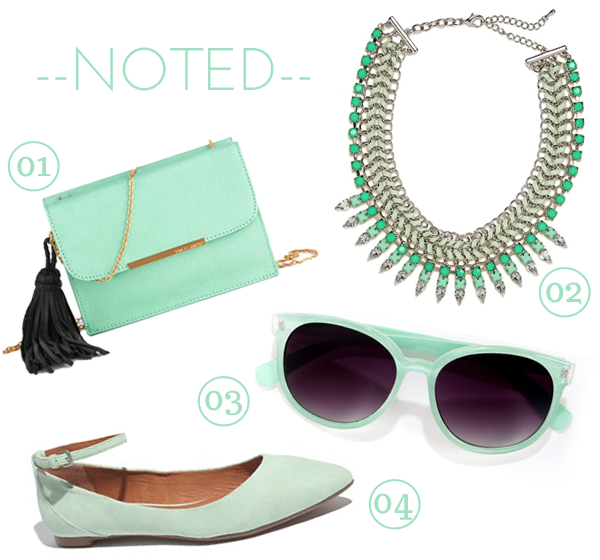 Today’s post revolves around one color- mint green! I wrote this post more than a year ago and not much has changed since then- I’m still obsessed with this color. I have at least five nail polishes that fall into this category and anything mint green immediately catches my eye. I’d love to add any one of these pieces to my closet, but I’m coveting the mint sunnies in particular- they’d be so perfect for spring and they’re a steal at $9!